Translated using Google so if someone knows Japanese they can probably do a better translation. 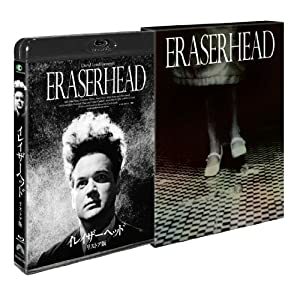 Universal (Japan) - Region 'A' Blu-ray - May 2012: Firstly, I am making the assumption that this is released by Universal although the Absurda logo, Comstock Group, MK2 and even what looks like small Paramount logo appear either at the beginning of Eraserhead or on the Japanese boxcover spine. Regardless , I suspect this will be the same transfer as offered on other Blu-ray editions across the globe - although each country may play some mix-n-match with the extras. It looks good on the single-layered Blu-ray disc - improving in more-layered contract and an up-tick in detail. The film textures rise to more prominence, the visuals are a shade brighter and the image is exceptionally clean. It is advertised as "Newly remastered by David Lynch himself for this 35th Anniversary release, his feature-film debut is a masterpiece of the macabre and grotesque." 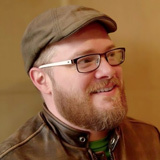 Audio is in lossless stereo 2.0 channel. I couldn't put it better than what Dean Carlson said:" With renowned sound designer Alan Splet, Lynch developed any technique he could conjure up -- from recording with pieces of glass tubing, pneumatic engines, or water-based pieces of machinery -- to produce sounds never heard before (or since) in any medium. Pieces of Fats Waller filter in through the unsettling haze. The sounds of the unimaginably horrific baby are nothing less than ghastly. Few directors could have realized such a potent vision only a first time out. Disturbing, haunting, and -- decades later -- still one of the most compelling sonic creations in the history of film. " The uncompressed transfer handles the aural aspects well - creepy depth and odd reverbs make the sound a strong part of the film presentation. There are optional Japanese subtitles on this region 'A' Blu-ray disc. There is a trailer accessible on the feature Blu-ray . There is a second disc - a DVD included in the package with "Stories" - the 1.5 hour feature of David Lynch discussing various aspects of the film and why his labor of love debut represents such a special place in his ouvre. There are also six short Lynch films: Six Men Getting Sick - (3:54, 1966), The Alphabet - (3:44, 1968), The Grandmother (33:46, 1970), The Amputee Take 1 + 2 - (8:56, 1974), and Lumiere (:58 - 1995). Quality is about as good as it gets for these shorts but the production limitations are evident. Very cool to have Eraserhead looking so much closer to a theatrical experience. The lossless audio especially adds another level of impact to the viewing. Creep? Macabre? Haunting? Sexual? All of the above? Eraserhead is a film that you can revisit - given the space to digest the symbols it contains. Lynch fans should be very pleased to get this in any of the available 1080P packages. I love that it's in a black Blu-ray case. I've always been surprised that companies don't match case color to the artwork... to make it blend more. I agree. The case alone is worth the buy. And when it said Remastered by David Lynch for the 35th Anniversary that's 1977... 2012! So this must be the transfer he supervised... I suspect right after he did Blue Velvet. Not the Eraserhead 2000 edition. I'm tempted to make the plunge but know when I do, it will be announced to be released here in LA.